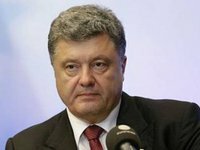 The war will be over for Ukraine only when it regains Donbas and Crimea, Ukrainian President Petro Poroshenko said. "The war will be over when Ukraine regains Donbas and Crimea. How long will it take? As long as necessary," the president told the STB channel on Thursday evening.